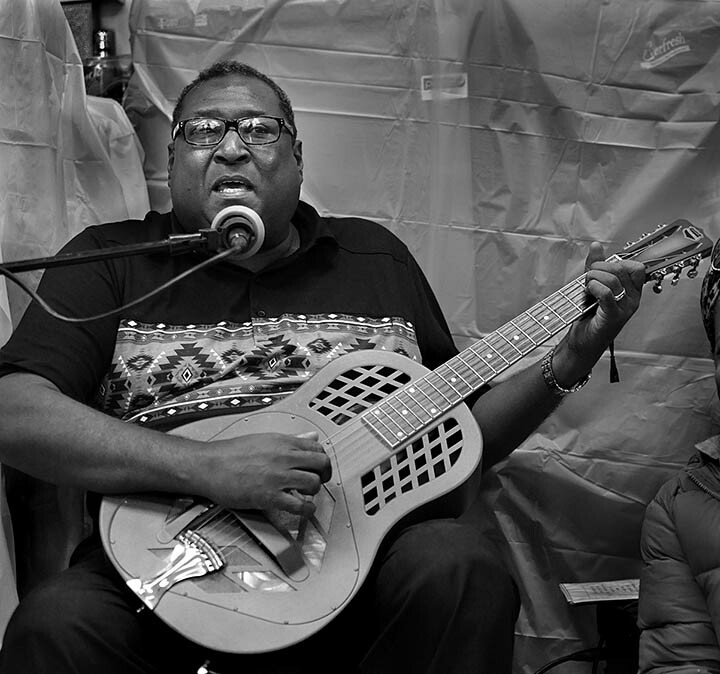 Columbia Pike-based Piedmont style blues guitarist and vocalist Rick Franklin recently performed at the dedication of a historical marker to Leonard "Doc" Muse at Green Valley Pharmacy in Arlington. 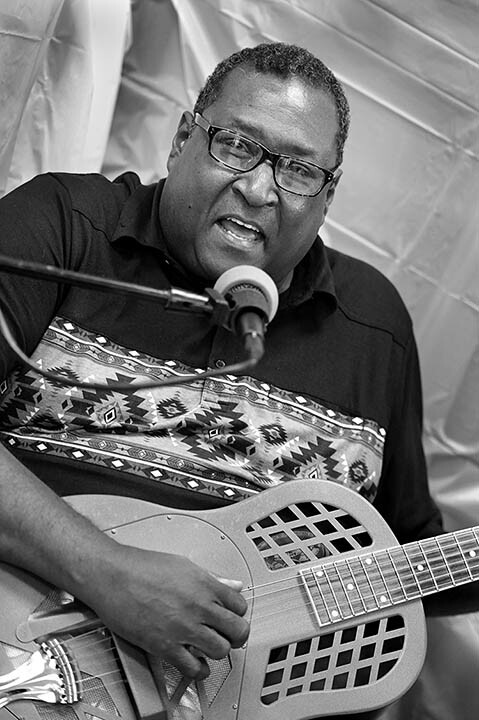 Rick proudly and ably carries on our regional Piedmont blues tradition pioneered by Blind Blake, Cephas and Wiggins, Archie Edwards, John Jackson, Reverend Gary Davis, and other greats. 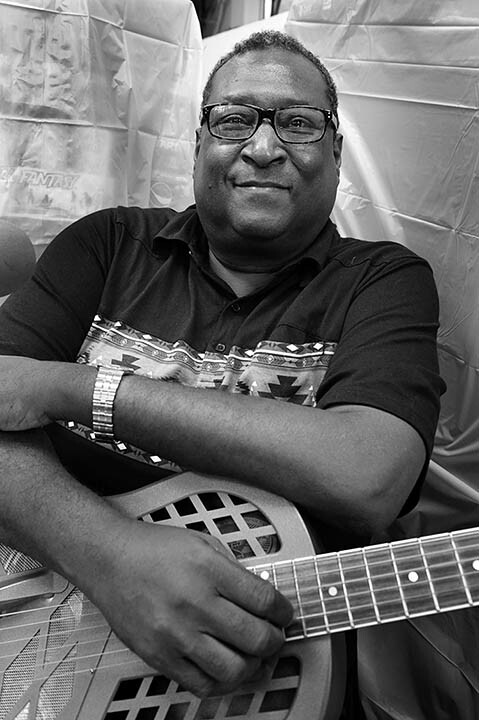 He regularly performs locally and internationally as an ambassador of this distinctive and lively form of the blues. 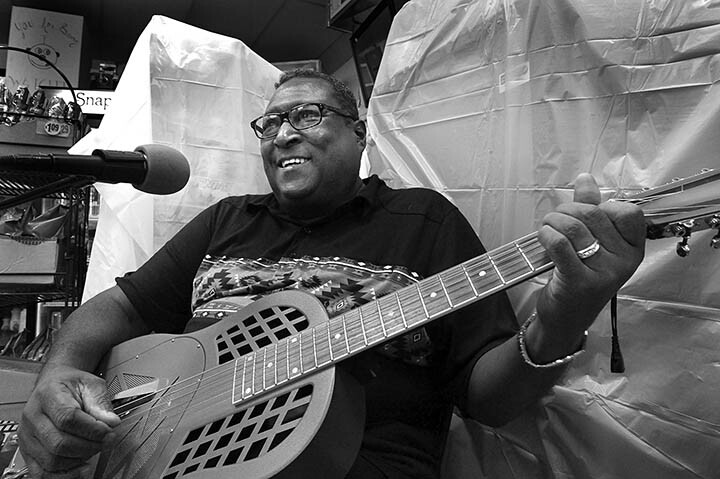 In addition to playing a mean guitar and wailin' the blues, he's a great guy.